Massachusetts law requires drivers to give pedestrians the right of way at intersections, so a pedestrian that crossed the street with a reasonable amount of care (i.e., first looking both ways), is almost always be entitled to damages if they were hit by a vehicle. In many cases, it turns out that the responsible driver was speeding, talking on his cell phone, or simply not paying attention—and he may also have been under the influence of drugs or alcohol. It also may be the case that a traffic light malfunctioned, or that the municipality has already been alerted about an especially dangerous intersection and has done nothing to remedy the problem. Pedestrians always bear the brunt of the impact in accidents when they are struck by a car or truck. Unfortunately, in most cases injured pedestrians usually sustain significant and catastrophic injuries that require extensive medical treatment resulting in significant medical expenses. Often times, injured pedestrians sustain life altering physical impairments that limit their ability to perform their job duties. This can result in a significant loss of income and earning capacity. Non-economic losses involving pain and suffering, mental anguish, and an inability to engage in once favorite hobbies or activities not only diminishes the quality of the injured pedestrian’s life, it also impacts the lives of family members and loved ones that once shared in those activities. In some cases, you may be entitled to compensation for non-economic losses, in addition to receiving compensation for economic damages (medical expenses and lost income). 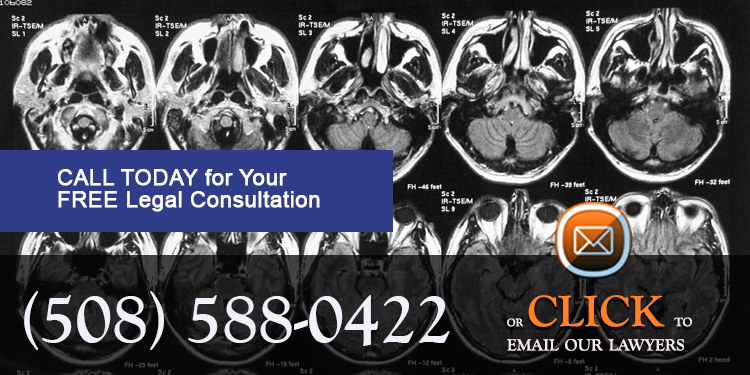 Our traumatic brain injury and accident victims law firm serves the Greater Boston area, but we are also available to assist clients throughout all of Massachusetts, including but not limited to Plymouth County including Brockton, Plymouth, Bridgewater, Marshfield, Hingham, Duxbury, Wareham, Abington, Rockland, Whitman, Hanson, Middleborough; Norfolk County including Quincy, Stoughton, Dedham, Weymouth, Braintree, Avon, Holbrook, Randolph, Canton, Sharon, Brookline, Franklin; Bristol County including New Bedford, Fall River, Taunton, Attleboro, Mansfield, Easton, Raynham, Norton; and the Greater Boston area including Cambridge, Revere, Chelsea, Lynn, Everett, Lawrence, Dorchester, Roxbury and Somerville.